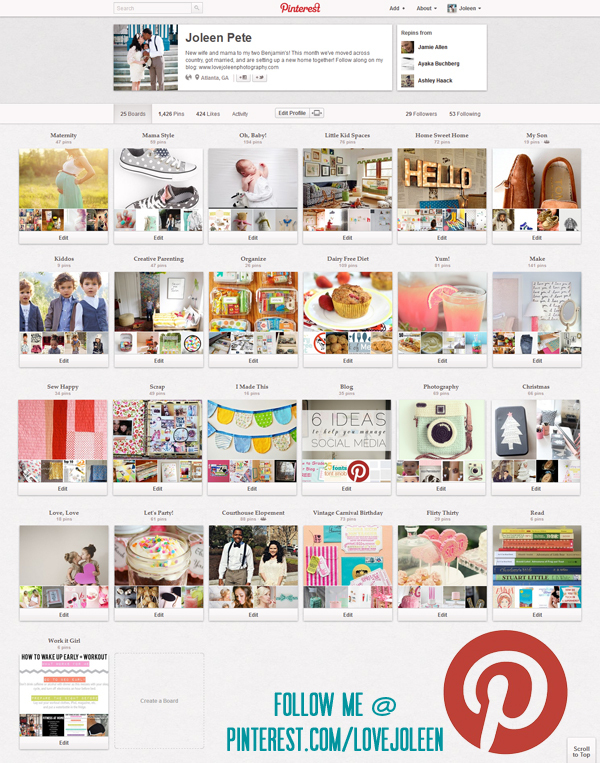 Love, Joleen : Pinning Party? Are you on Pinterest? I'd love to see what you're pinning if you are!! I've had a lovely Saturday spent cuddling a baby whilst perusing and pinning away on Pinterest. Come join me?